Cpl. Lee O. Rutledge, son of Mr. and Mrs. T. D. Ritledge, graduated from Weaver High School; husband of the former Geraldine Hall. Entered Army in April, 1943, trained Jefferson Brks., Mo., Santa Anita, Cal. 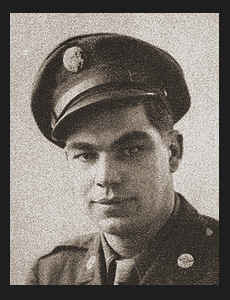 ; served in England, Luxembourg, Germany; was killed in action in France, April, 1945. Awarded ETO Ribbon, the Purple Heart.